California has blue skies, sandy beaches, and excellent nursing opportunities. With a large retired population, the demand for nurses is increasing more than ever. If you want to get your foot in the door to these opportunities, you’ll want to find the best nursing schools in California. That’s why we’ve done the research for you! Not all nursing programs are the same throughout the state, so be sure to find the perfect fit for you by checking admission requirements and essential qualities you want your school to have. Also, maybe you don’t want to stop at a simple four-year degree. If so, find the perfect rn to bsn program in California that will launch you into graduate school so you can ascend the rungs of your chosen profession. Azusa Pacific University provides students with leadership skills and a deep level of compassion in the health care field. With innovative programs, mentors, and guides, students will have opportunities to obtain a bachelor, master, or doctoral degree online or on campus. The University of California in Los Angeles offers several nursing programs. Through experienced faculty and small class sizes, students will be taught critical thinking, judgment, and evidence-based nursing skills in one incredible education. California State University at Bakersfield offers an exceptional education by combining physical, social, and biological sciences into their nursing programs. Students will receive in-depth training in a variety of clinical settings as part of their curriculum. San Diego State University strives to provide students with a thorough education through their nursing degrees. Students will be taught to prevent and care for illness and injuries, long-term rehabilitation, and healthy lifestyles to give patients the best care possible. The University of California at Irvine has several degree programs to choose from. Whether looking for an advanced or basic degree, students will learn biomedical, social, behavioral, and pharmaceutical sciences combined with clinical practice and theory to obtain the best education in the health field. The University of San Francisco offers exceptional nursing programs. The curriculum uses real-world tools in a hands-on approach combined with Jesuit values to give students the education they need. Stanbridge University prepares students to enter the face-paced world of health care. By teaching students skills as a leader, students will be taught critical thinking, problem solving, and the healing of those under their care. West Coast University at Los Angeles offers a plethora of nursing degrees both online and on campus. Students will be taught a modern curriculum with cutting-edge technology to be some of the best leaders in the health care field. Mount Saint Mary’s University offers students real-world experience by working in hospitals all of Los Angeles. Students will be able to engage with health professionals and patients unlike anywhere else. The University of California at Davis offers exceptional nursing programs for students of all walks of life. Students will learn critical thinking, lifespan development, and diagnosis and treatment in addition to their basic education. California State University in Sacramento offers career opportunities for students looking to expand their education. The programs are designed with flexibility to meet the needs of students who are also working and maintaining a family life. California State University at Fullerton offers affordable and high-quality nursing degrees. Students will be taught at state-of-the-art labs through experienced faculty to give them the education they need in the health care field. Point Loma Nazarene University believes work is a sacred calling and seeks to give students the best education to support that calling. Point Loma Nazarene gives students a Christian environment to learn hands-on research and theory to support them in their careers. California State University Long Beach has a mission to produce a student-centered learning environment to make quality professions in the health field. Students will be taught to function as professionals in a variety of health care settings. West Coast University at Orange County offers exceptional nursing programs that can be completed in as few as 39 months. Classes start every 10 weeks and students will be able to interact with real patients in lab settings. Sonoma State University offers both undergraduate and graduate nursing programs. With quality faculty, small class sizes, top-of-the-line clinical environments to practice in, and a modern curriculum, students can expect a great education at Sonoma. San Francisco State University offers several nursing programs at varying levels of flexibility for the convenience of students’ busy schedules. Graduates will be able to work as registered nurses in pediatrics, geriatrics, gerontology, maternity, and medical-surgical nursing. The University of San Diego offers graduate-level nursing programs to students at all walks of life. Perfect for a registered nurse seeking new career opportunities, students will be prepared with a general foundation as well as master-level courses. The Dominican University of California strives to prepare students to meet the diverse needs of populations. Students are taught in community settings and simulation labs for both acute care and long-term care for patients in the health care field. Concordia University at Irvine offers contemporary and comprehensive nursing programs for all kinds of students. Through small class sizes and encouraging faculty, students can expect to receive an exceptional education. Fresno Pacific University prepares students to become leaders in their profession. The curriculum focuses on clinical thinking and judgment, holistic care, leadership skills, nursing research, and conflict management skills. San Jose State University offers a variety of nursing programs for students looking for the best fit for them. Classes are taught by experienced faculty who teach clinical skills, academic knowledge, and patient care in an array of different settings. California State University Fresno offers exceptional nursing programs. Students will focus on management principles, leadership skills, and evidence-based practice to give students a well-rounded education. West Coast University at Ontario offers many different nursing degrees for students of all kinds looking to find the best fit for them. Through cutting-edge technology, classes can be taken online or in-class to fit students busy schedules and needs. Biola University combines Christian values with a top-notch education. Through rigorous coursework, simulation labs, and clinical experience, students will be prepared to be leaders in the health care field of their choice. Holy Names University offers many different nursing options. Students will be taught to be caring professionals, design quality nursing care, communicate effectively, and work in a variety of settings including hospitals, home care, and community clinics. California State University at Stanislaus offers different nursing programs for the different needs of students everywhere. Students can take classes on-campus or online to fit their busy schedules and to balance their home, work, and academic lifestyles. California State University-Chico prepares students to become leaders in the health care field through rigorous academics, experienced faculty, clinical experience, and hard-earned medical skills. California State University at Dominguez Hills offers several nursing programs to choose from. Students will be taught in cohorts by experienced faculty with state-of-the-art technology to give students the education they need to be leaders in the health field. Pacific Union College typically uses a two-step approach to educating its students in the nursing field. With encouraging faculty, top-notch simulation labs, and an exciting and thorough curriculum, students can expect to receive the best education California can offer. California State University at Channel Islands offers extraordinary nursing programs. Students will be taught holistic patient care in a variety of health care settings coupled with a curriculum rich with skills and knowledge. 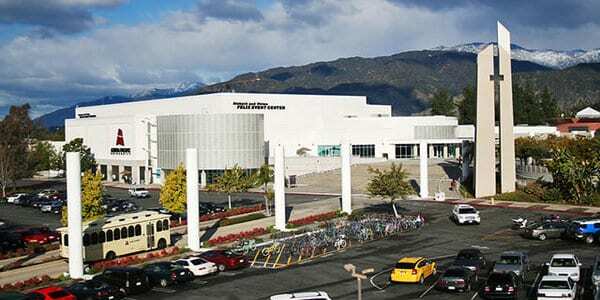 California State University at San Bernardino offers students a dynamic education with many opportunities. San Bernardino utilizes contemporary teaching methods in a student-based learning atmosphere with supporting faculty. Brandman University is ready to help you move to the next step of your career. Nursing programs have direct-application coursework in an immersive simulation lab. California State University at San Marcos offers students an exceptional education in the health care field. With experienced faculty teaching a modern curriculum with cutting-edge technology, students can expect the most at San Marcos. California State University at East Bay provides nursing programs that help students serve patients from all different backgrounds. The curriculum combines general and professional education to give students the skills and knowledge they need in the competitive world of nursing. California Baptist University provides an excellent education combined with Christian values in their nursing program. Students will receive clinical experience through rotations in hospitals and health care facilities as well as the clinical skills and professional knowledge. Simpson University combines Christian values into a faith-based curriculum. With an innovative program and personal attention from faculty, hands-on experience in simulation labs and small class sizes, students can expect a high-quality education at Simpson. National University provides nursing courses online that are four to eight weeks long. Through cutting-edge technology and the flexibility of online study, students can manage their busy schedules for work and academics. California State University at Northridge curriculum builds upon existing competencies to combine new and old knowledge of the nursing field. Northridge strives to produce nurses in all areas of the field. The University of Southern California offers exceptional graduate nursing degrees. Through evidence-based practice, students are taught comprehensive skills and advanced knowledge needed in the health care field. Pacific College offers a nursing curriculum that gives students a better understanding of ethical, cultural, and economic issues that affect patients. Through critical thinking, leadership, management, and research, students will learn to provide patient health care across a variety of settings. California State University at Monterey Bay provides several different nursing programs presented in an extraordinary way. Through experienced faculty, small class sizes, and top-notch technology, students can expect the best education California has to offer. Nursing schools in California on this list were ranked mostly by NCLEX-RN pass rates, with other quality-indicating factors such as total enrollment, tuition, and acceptance rate slightly affecting the rankings to push the higher-quality nursing schools toward the top. See our methodology page for more detail.